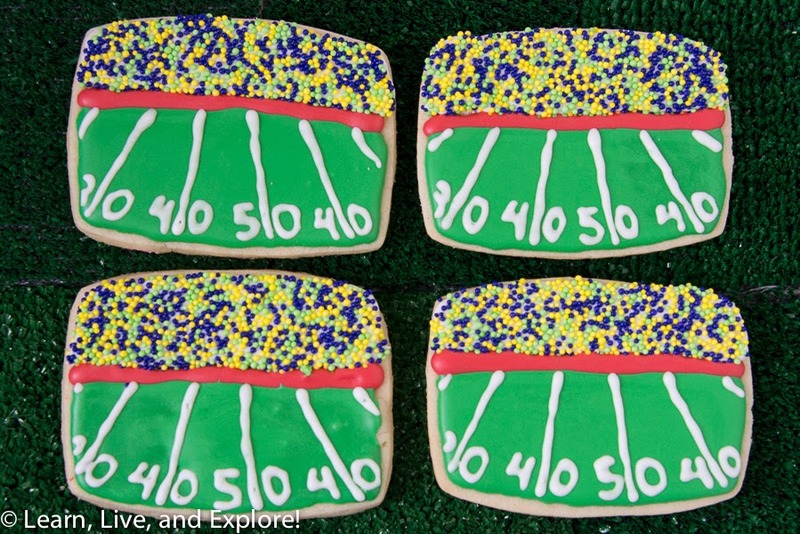 Superbowl Football Field Cookies ~ Learn, Live, and Explore! I first saw these football field cookies on Munchkin Munchies' blog, and I knew they would be perfect for Super Bowl Sunday this year. The crowd was made by flooding a section on each side with white royal icing, then pouring the rainbow sprinkles over and gently shaking off the excess - kind of like a glitter and glue project! The field is flooded a few hours later after the "crowd" has dried." All other detail work had to be completed when the whole cookie was dry. 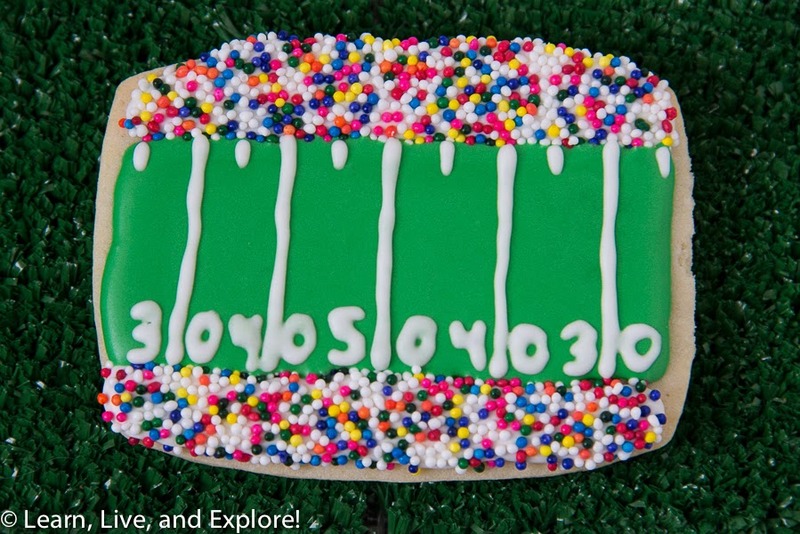 There are versions of the alternate field/crowd design with a sideline perspective floating around the web as well, most using the larger nonpareils for the players on the field. 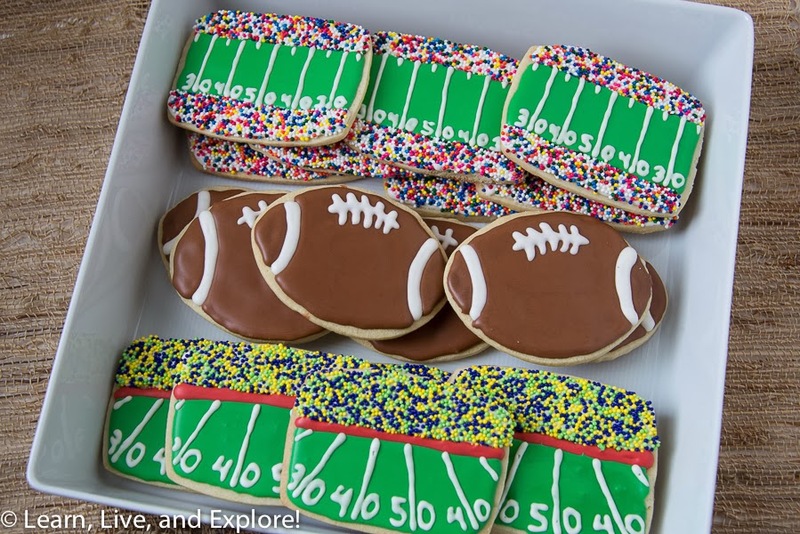 I'm not a fan of the fruity flavor of the larger nonpareils, in fact I think they ruin the taste of the cookies, so I opted to keep it simple and only make those cookies using the special color blend of sprinkles that included Seahawks colors of navy and electric green. I couldn't find a similar mix with Broncos colors, and there was no way I was going to separate out orange and navy from the rainbow mix! I love these!!! It’s my first time to be out of the country for work and incidentally, I’ll be here even during the Super Bowl. I’ll probably be here for the next few months, actually. I’ve been telling my colleagues about how Super Bowl is so big in the US and I want to invited them over to my apartment to watch with me. Yup, I already have my express VPN running and it can get me a live stream for the Super Bowl. 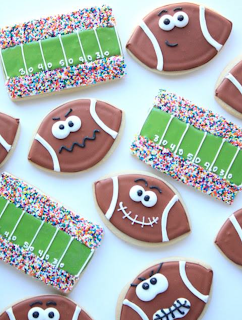 These cookies look fun and delish! I’ll definitely try preparing these too.